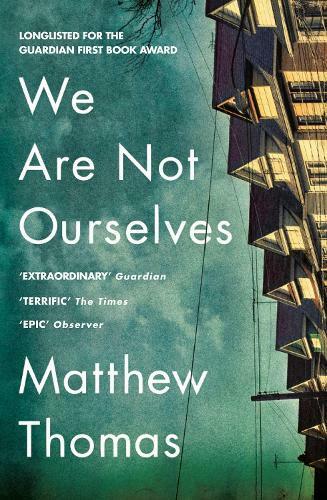 We Are Not Ourselves, Michael Thomas’s debut novel, caused quite a stir at the London Book Fair last year, sparking a bidding war between UK and US publishers for the rights. There was much competition among Readings staff, too, with several of us putting our hands up for the opportunity to write this review. We Are Not Ourselves follows the life of Eileen Tumulty, born to Irish parents and brought up in the New York City borough of Queens. From an early age, Eileen is determined to better herself and rise above her humble beginnings. She meets and marries Ed Leary, a young scientist, believing he is the key to her escape. What Eileen slowly and painstakingly begins to realise is that Ed does not share her desire to become upwardly mobile. While Eileen forges ahead in her career, Ed plods along, refusing to take up any offers of promotion. When the couple eventually have a child, Eileen transfers some of her ambitions to her son. She dreams of moving her family to a leafier suburb and does, in the end, get her way. Though, just as things seem to be looking up, Ed is diagnosed with early-onset Alzheimer’s. I love a good Irish–American saga, and I was looking forward to reading something of the calibre of a Colm Tóibín, Sebastian Barry or Colum McCann novel. I’m afraid my enthusiasm diminished, somewhat, when I was handed an advance copy of 620 pages! As it turns out, the length of the novel is its major flaw. I struggled to feel any of the sympathy for Thomas’s characters that the likes of Tóibín are able to evoke. Thomas seems to dwell forever on the differences between Eileen’s and Ed’s ambitions, repeating similar scenes of Eileen’s frustration with her husband over and over again, leaving this reader frustrated with the pair of them! Around halfway through, I had lost interest in Eileen’s life and was wondering whether I should bother to continue reading. Fortunately, I didn’t give up, and the story, while not really picking up any pace, did become more engrossing.